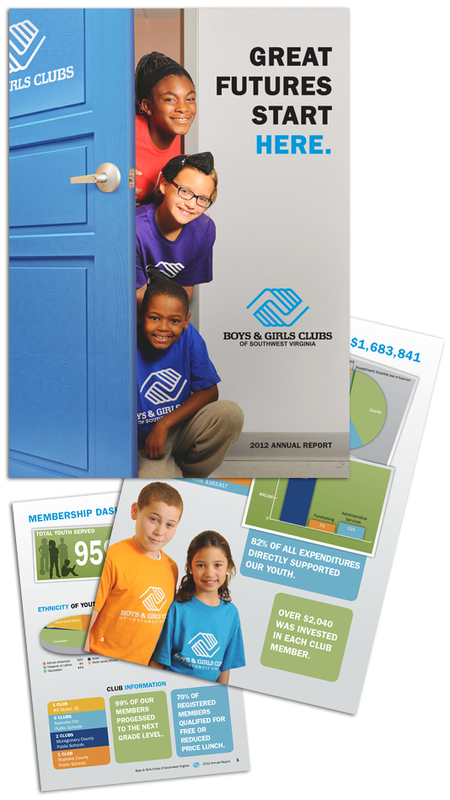 The Boys and Girls Clubs of Southwest Virginia was in need of help with their annual report layout. Working with the photographer and their marketing team we came up with a great look for their information to be distributed to all share holders. We even donated some of our time while working because we love their great cause.